Too often sending a simple follow-up or thank you letter is overlooked. Don’t miss the opportunity it affords you to restate your value-added proposition. 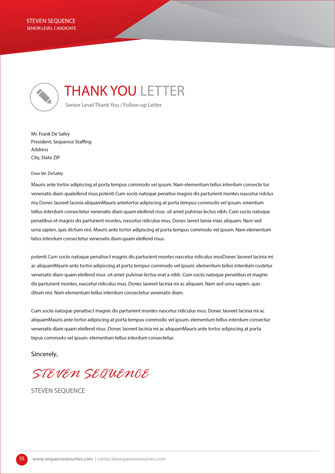 Sending a follow-up thank you letter reminds the employer/recruiter about the key points of your interview and why you are the best person for the position. It’s an excellent chance to again present your qualifications and strengths, and do so in a professional manner. It can make a difference in your career, so don’t miss the chance to make a final strong impression.